More than two months after Kim Kardashian gave birth to her and boyfriend Kanye West's first child, the first photo of North West has been revealed. The adorable baby made her debut (in photo form) on an episode of Kim's mom Kris Jenner's talk show, "Kris," and proud papa Kanye made an appearance for the big reveal. 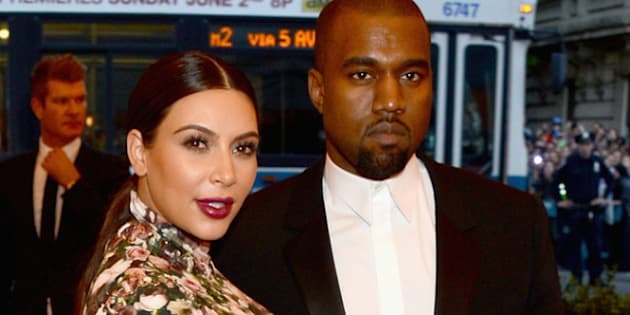 Although hot mama Kim wasn't on the show to talk about her growing family, West made us a little teary-eyed when he told the world how much he loves his baby mama despite a lot of criticism for dating the "Keeping Up With the Kardashians" star. "I could have people saying, 'This is going to damage your credibility as an artist or as a designer, and I say, 'I don't care. I love this woman,' " West said on "Kris." "Or someone could say, 'Everyone knows you don't like paparazzi. Why would you be with this person?' And I say, 'I'm being with this person because I love this person and she's worth it to me.' "
West even talked about his late grandfather, Portwood Williams Sr., who died earlier this month, and how his spirit has influenced his relationship with Kim. "My grandfather just passed and his whole thing was never about money," said West. "It was never about popularity. His whole thing was joy. Just joy, like having joy in his life. She's my joy and she brought my new joy into the world." Awww! So will we see an official family photo à la Kate Middleton, Prince William and Prince George? We might have to wait until Christmas time when the Kardashian family take their annual holiday photo. We can't wait to see more pics of the growing tot who definitely has her mom's gorgeous raven hair and almond-shaped eyes.